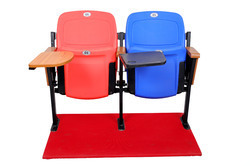 Our range of products include school auditorium seatings, auditorium foldable writing tablet - bwd, auditorium plastic foldable writing tablet chairs - fwd, school college auditorium chairs, plastic folding auditorium seats and plastic folding vip seats. 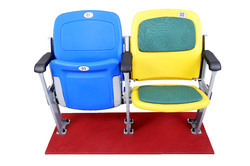 A wide range of School Auditorium Seats with less vendalism and sturdy material. 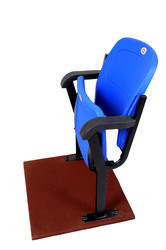 More comfort & ergonomically well designed for the purpose of use in school & college auditoirums. Wooden or Sunmica polished writing desk with 17X 10 size. An New design in new era of eductaion system & it seating arragments with 100 % Blow Molding plastic School & College Auditorium chairs which is ergonomically well design with sturdy material to tackle vendalism ..
Its 100 % Made In India product.